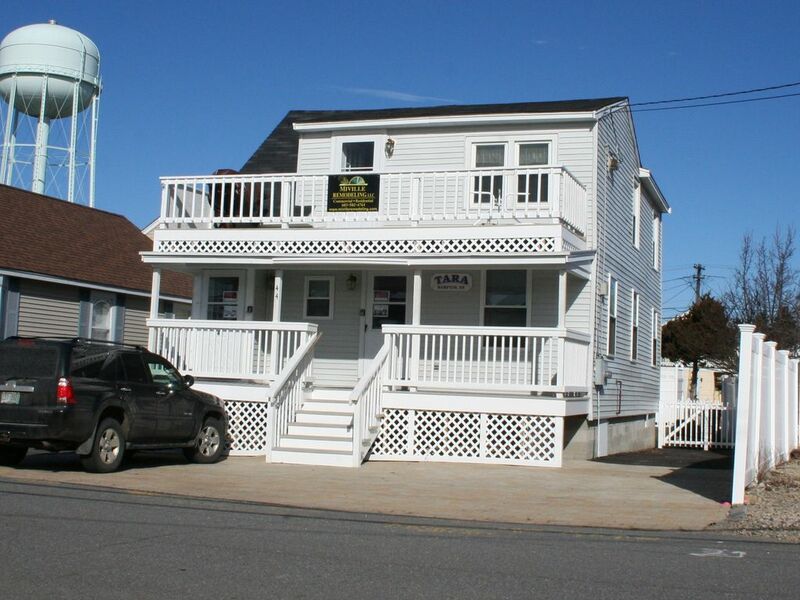 MAISON FAMILIALE LOIN DE LA MAISON Hampton Beach Up - GREAT QUARTIER 'Little Ed'! Attention, les familles nombreuses: RENT HAMPTON BEACH BAS - 'TARA' en plus 'Little Ed' et ont toute votre famille dans une maison. VOIR TARA Établissement # 346179 Serait dormir 12 au total. La cour est un endroit idéal pour les familles de se rassembler et les enfants à jouer après une longue journée sur le sable! Les produits de papier et des articles de toilette ne sont pas fournis. Fumeurs admis uniquement à l'extérieur, pas de fumer à l'intérieur s'il vous plaît. Very nice, clean and well maintained. We had a great time staying at Little Ed. Our 6 month old was learning how to have fun at the beach and had a few crying bouts. The walls were impressively sound proof and we did not disturb other family members. The deck was perfect for a post beach snack and beverage and the overall location was perfect for a family that split the week eating in and dining out. Thank you, so glad you had a good time! The schedule for the summer of 2019 is available, we hope you return to stay with us again! Great location, awesome back yard and deck. Homeowners are great to deal with. Close to everything. So glad you had a good time, we also enjoy that back deck with our family, great place to gather after a long day at the beach! Hope to see you next summer! The location was very nice. Close enough to the beach for an easy walk and right near a bath house. Far enough away to not hear the traffic of the Main St. Kitchen had everything we needed. Twin beds are fine for kids but were not ideal for 40 + year old adults who could have used more support. Bring your own blankets. They tell you sheets but not blankets. You will enjoy your stay. My sisters family and our family rented the whole thing. It was awesome. The place was very clean, had everything we needed, a great quiet location at the end of a dead end road yet within walking distance to the beach and boulevard with all the activities. Owners great to deal with. Thank you!!!! So glad you had a good time, hope you come again! House est situé sur impasse derrière l'Hôtel Ashworth. Quartier de Nice avec un mélange de logements locatifs et les résidents permanents. 1,400.00 PER MONTH There is off street parking for 3 compact vehicles per unit. HEAT, HOT WATER AND CABLE INCLUDED. Unit is available for immediate move in but residents must move out by June 1st, 2015.